This page would occur in the midst of a particularly heavy workload for Dex. She's been burning the candle at so many ends it feels like she's added on a few extra so she can go through it faster. This also means she hasn't seen much of her brother Ansel (who, for those who may not know, has Down's Syndrome). 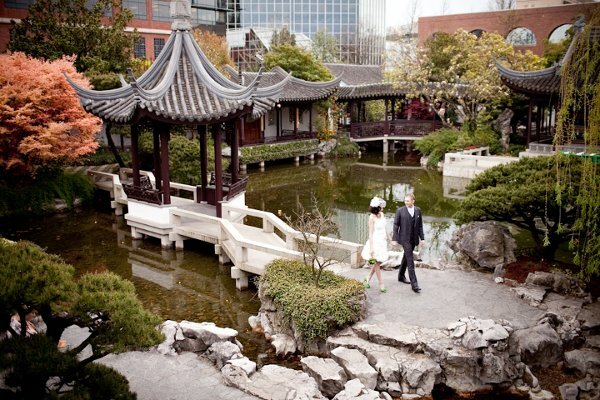 Missing her and concerned for her, he's made her promise to spend some time with him, insisting they go to the Lan Su Chinese Garden in Portland's Old Town Chinatown (an exceedingly beautiful place). Page layout would have four rows. Panel 1 would be alone on the top row, panels 2 and 3 would be the second row, panels 4 through 6 would be the third row, and panel 7 would be the last row. I've included a number of image references that capture the setting better than my words could. Feel free to look at or ignore them at your leisure. 1 - Establishing shot. 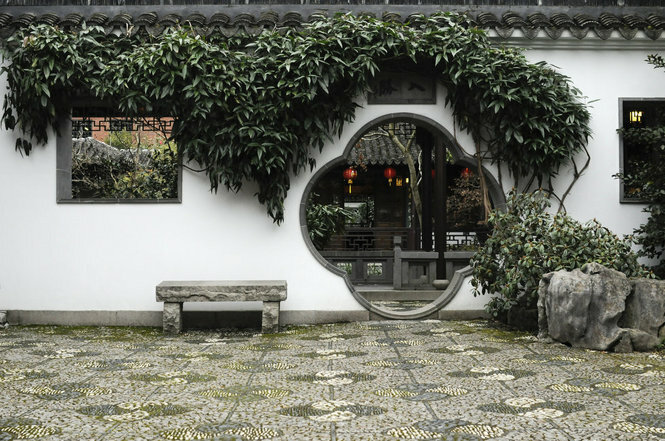 An exterior shot of Lan Su Garden. 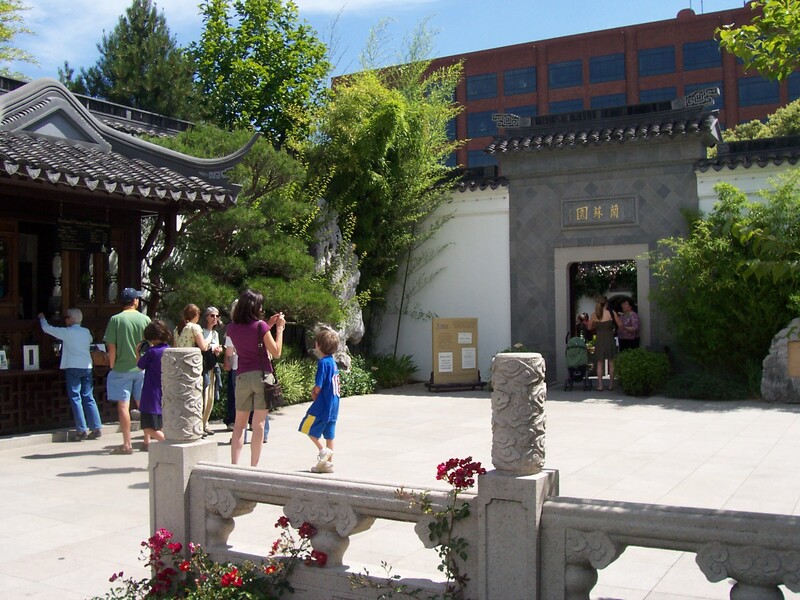 We see the garden's outer walls and some hints of the pavilions and buildings within, but the area is surrounded by the city itself as well - cars drive by in front, building reach skyward beside and behind the garden. It's a mixture of the chaos without and the calm within. Maybe have two figures walking towards the garden's entrance, one leading the other by the hand (there's no good image reference for this - but some kind of 3/4 shot could be aces). DEX (tailless): Is this really necessary? 2 - Move closer to see Ansel leading Dex by the hand towards the garden's entrance. Dex wears a blindfold and is toying at it with her free hand. Ansel looks back, a plaintive expression on his face (image reference). ANSEL: B-but you you promised! 3 - Ansel leads Dex through the front door of the garden, their backs to the reader (image reference). DEX: You're right. Lead on, little brother. 4 - Looking directly at Dex. She still has the blindfold on, although Ansel is in the process of taking it off. A little pavilion is behind them, but its details are not important. ANSEL: I k-know you're busy. 5 - Repeat shot, but the blindfold is off. Dex looks out with a tired, exhausted look on her face. Ansel can be beside her, either looking expectantly towards the sight before them or at Dex herself. ANSEL: But I thought you might like this. 6 - Repeat shot, but Dex now wears a wide smile on her face, the exhaustion melted away. 7 - Switch angel to behind Dex and Ansel. 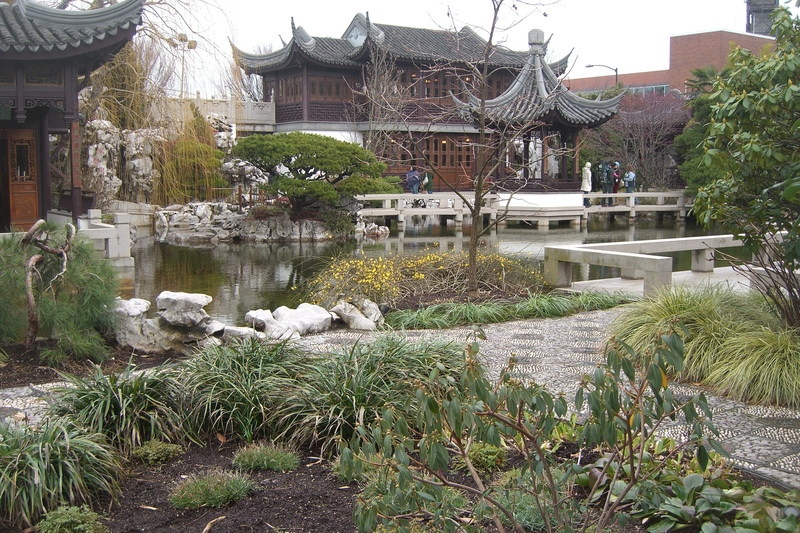 They're sitting side by side on a seat looking out across the pond, plants and pavilions of the garden. Dex has her arm around Ansel and puts her head down on his lovingly (perhaps something like this or this).